Super Strada Black Need Help? 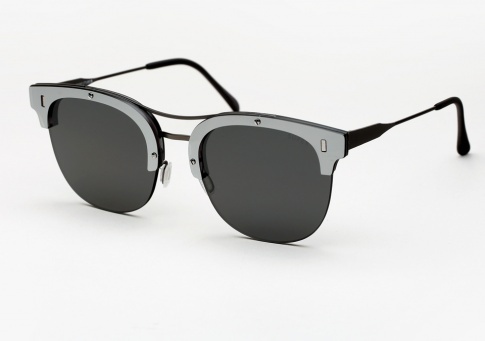 Super Strada Black reproduces the intricate structural form of metal and acetate sunglasses with an all-lens construction. This model features a carefully combined selection of all-lens ZEISS components in black and silver, sealed together with minute rivets and matched with structural metal elements.